I didn’t grow up anywhere near the ocean. During my adolescent years, we lived a mile and a half away from a small beach on Lake Ontario. Lake Ontario is nothing like the ocean, but when that’s what you’ve got, water is water, and the beach is the beach. Sometimes we’d take day trips to larger, nicer beaches, and I remember going to the Outer Banks with my extended family in middle school. One summer, we went to Chincoteague Island in Virginia, but all I remember about those beaches are stinging sand and grey skies. It was hurricane season, and the weather wasn’t good for swimming. It wasn’t really good for anything outside, but we were there, so we made our way to the waterside and let the sand try to erode our skin. These days, living in Memphis makes me miss the days when I could jump in the car or on my bike and be at the beach in less than 10 minutes. Yes, there’s the Mississippi River, and I know there are lakes “around,” but it’s just not the same. I get in my beach time when I visit my family in New York, and I’m crossing my fingers and wishing for a beach vacation *someday*. In the mean time, I’ve got this pie. 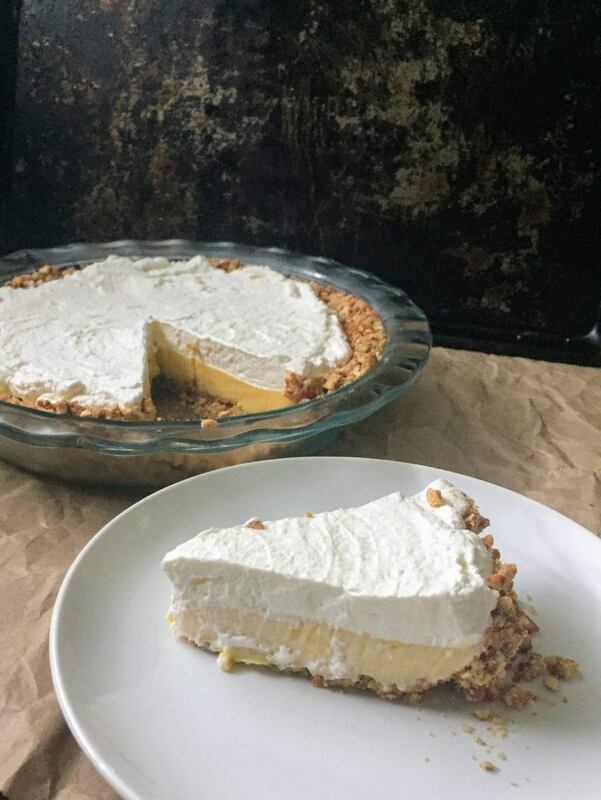 Not that you’d want a bite of salt water with a side of sand or anything, but you can’t help but taste this pie and think of the beach. It’s a perfect blend of sweet, salty, creamy, crunchy, and tart. A forkful will make your tastebuds feel ALL THE FEELS. 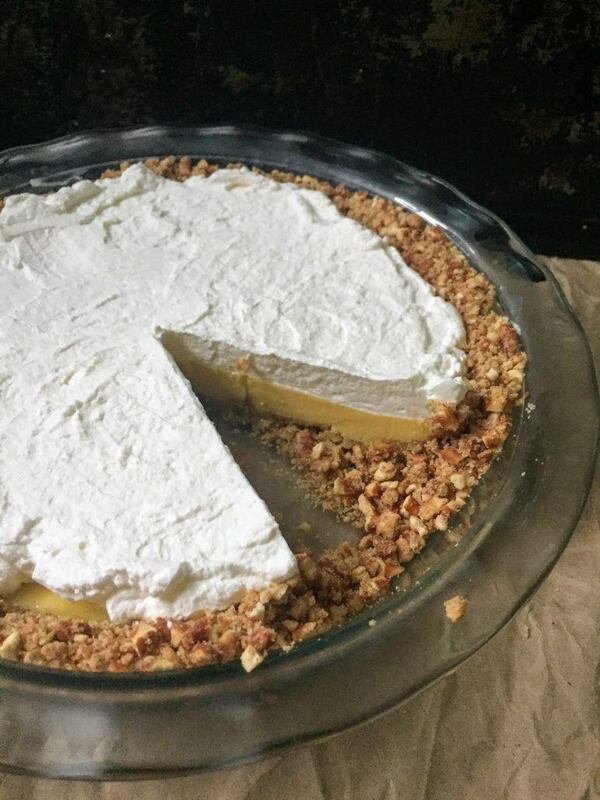 I first heard about Atlantic Beach Pie from NPR and then awhile later, Food52. If you’ve been reading or following my blog for any length of time, you know I love my dulce de leche, and I love anything sweet and salty. So although the original recipe called for saltines, I knew I wanted to make it with a pretzel crust. 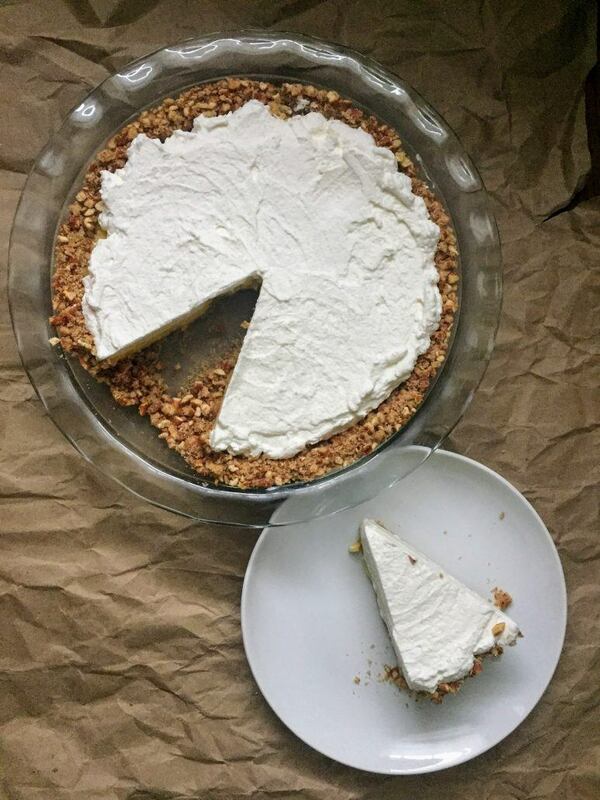 It’s pretty simple, really: a pre-baked pretzel crust that easily comes together in the food processor (especially if you’re not using an old Ninja), a filling that’s whisked up in one bowl, and a generous slathering of whipped cream and- if you’re feeling extra beachy- a sprinkle of sea salt. The crust is a little crumbly around the edges, but it stays together well enough; just be sure to slice it gently with a sharp knife. And because it’s crumbly, you’ll have extra crumbs to scoop out of the pan when no one is looking and… wait, never mind. Who does that?!? Those elusive beachy waves can take a hike. I’ll figure out how to use the salt spray and a curling iron eventually. As for the ocean, I’ll see you someday. But for now, we’ve got this pie to tide us over. 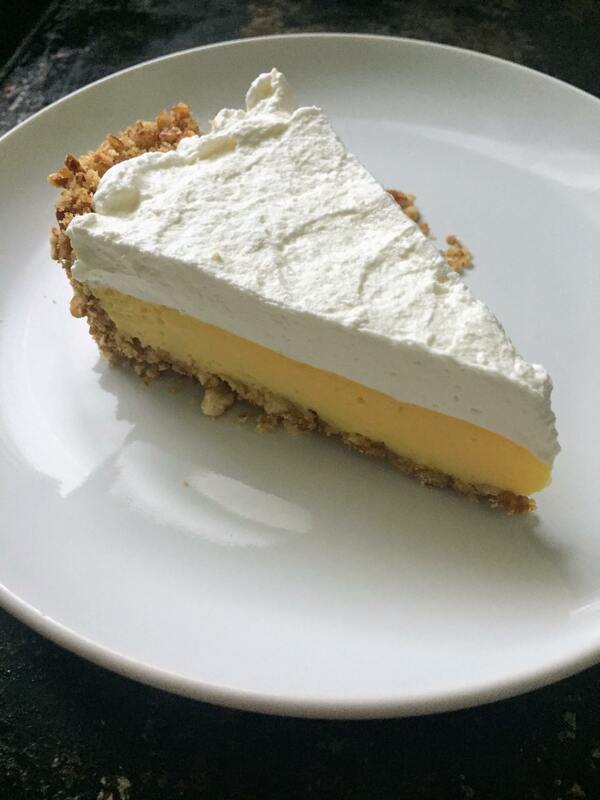 A salty sweet lemon pie bursting with summer flavor! Preheat the oven to 350 degrees Fahrenheit and spray a large pie plate with cooking spray. Crush pretzels in a food processor until they are fine crumbs. Add melted butter, sugar, and salt. Blend until fully combined and the butter is evenly distributed throughout the mixer. Pour the crust mixture into prepared pan and press the mixture into the bottom and up the sides of the pan using a measuring cup. Bake the crust for 8-9 minutes or until slightly browned. Remove from the oven and allow to cool at least slightly. Whisk sweetened condensed milk and egg yolks together until completely smooth. 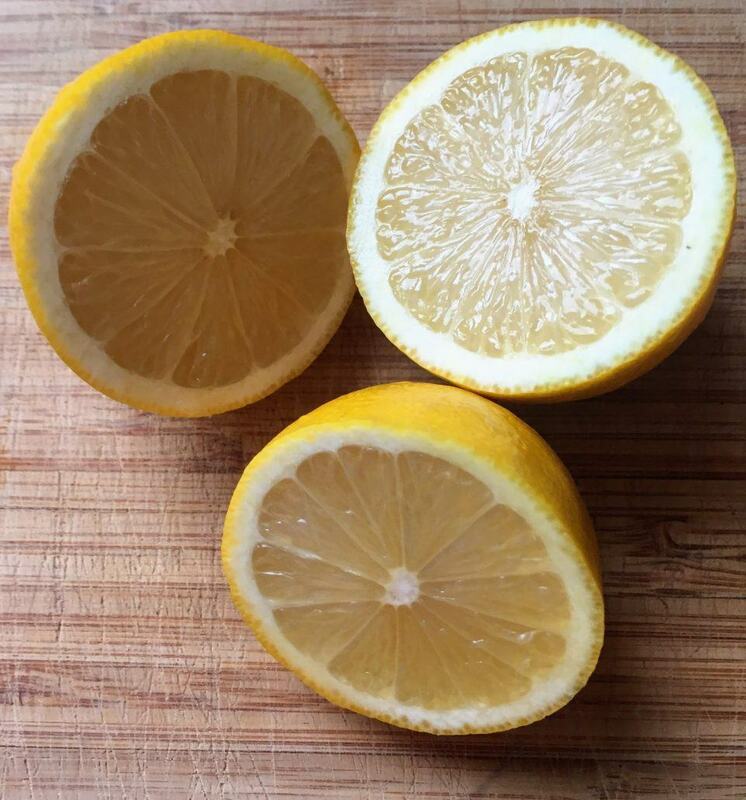 Beat in lemon juice and zest, whisking until combined. Bake pie for 15 minutes at 350 degrees. Allow the pie to cool. Then refrigerate it for at least 4 hours. Just prior to serving, top with whipped cream and sea salt. Store leftovers in the fridge. Because when life gives you lemons, forget lemonade. Make PIE! Did the punmaster help you with the tide you over reference/pun while talking about the beach and ocean? very clever, and we will see how the beaches are..the high water and flooding has led to lots of beach erosion this year on Lake Ontario. See you soon! Nope, I came up with them all by myself!